I lost most of my LEGO collection in a tornado. Thankfully, I am able to replace it. I have had a difficult time finding all of the CMFs that I owned. 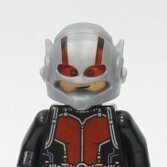 Is there a BL seller that sells a lot of CMFs from series 2-10? I had quite a few from those series and it would be nice to replace them all (or most of them), with one seller, instead of getting each one separately. I would like them to be in very good condition or sealed. Thank you for your help!